New research suggests sucralose can cause cancerous tumors and leukemia. If you’re like most calorie- and sugar-conscious dudes, you probably have a go-to sugar-free sweetener you use daily. Well, it may not make you fat, but there’s a possibility that one popular sweetener in particular could cause cancer instead, according to new research (on mice) published in the International Journal of Occupational and Environmental Health. 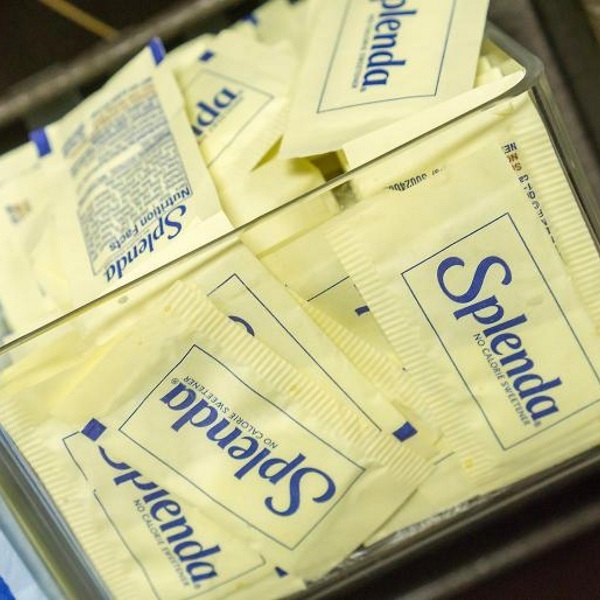 In the study, researchers wrangled 457 male Swiss mice into five groups and 396 females into five groups, then loaded them with exorbitant amounts of sucralose (Splenda). The mice’s feed was spiked with 0, 500, 2,000, 8,000, and 16,000 parts per million (ppm) concentrations from the twelfth day of their development (prenatal life) until the end of their lifespan. The researchers found a substantial dose-related incidence of malignant tumors and leukemia, in male mice specifically, at concentrations of 2,000 and 16,000 ppm. Second, Forbes points out, the incidence of sucralose-related tumors decreased in female mice. The number of cancerous tumors dropped from 67 percent in females exposed to no sucralose to about 59 percent in mice exposed to 16,000 ppm. At 8,000 ppm, the number of tumors dropped to 55 percent. To read Forbes’ full report, click here. In its unprocessed form, stevia provides antioxidants, vitamins, and minerals. Because the human body can’t digest the stevia plant, it offers close to zero calories and has a very low glycemic index. The fructose count also becomes negligible, and it doesn’t affect blood sugar levels either. Monk fruit is a round green melon that’s been grown for centuries in central Asia. Monk fruit extract is about 150 times sweeter than sugar, non-glycemic, and has zero calories per serving. Industry insiders have predicted that it will become stevia’s fiercest rival. Yacon syrup is made from the root of the yacon plant, which grows in the Andes region of South America. It has a minimal impact on blood sugar levels because it has a sugar polymer our bodies cannot digest, and is considered a prebiotic as it aids in calcium absorption. Try to get the raw form when possible.